Do you work out, eat right, and still wake up in the morning to the frustrating sight of fat in your stomach, arms, or thighs? If stubborn fat deposits are keeping you from achieving your ideal body, VASER Liposuction can offer you the safe, effective fat elimination results you’ve been dreaming of*! VASER Lipo, unlike traditional liposuction, employs advanced ultrasound technology to break up and emulsify fat, making for a smoother, more accurate removal of unwanted fat*. Dr. Friedlander is in his own right one of the top liposuction experts in the country; patients who come to NorCal Liposculpture receive the highest quality level of care and surgical excellence available. 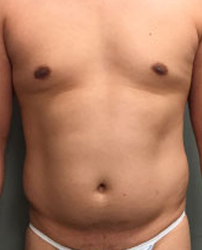 Interested in learning more about what VASER Liposuction can do for your physique? Call the friendly staff at NorCal Liposculpture today to schedule your consultation! 5 What Sets VASER Apart? Some people may think that an ideal, healthy body is free of fat. This is not necessarily the case! There are two types of fat: white and brown. Brown fat, in fact, plays a beneficial role in our bodies. It surrounds and protects our organs, and often can be found in our neck and upper back. This type of fat also helps to regulate the body’s temperature. In babies, it is what people refer to as “baby fat.” Brown fat contains iron and tiny blood vessels, which contributes to its brown color. When a person is struggling to lose weight and improve their body’s appearance, they are struggling to get rid of their white fat. White fat can develop from lack of exercise, dietary choices, a slow metabolism, or simply because of the body’s aging. It is white because it lacks blood vessels. While white fat can also help insulate the organs, an excess of visible white fat on the body, such as a protrusion of belly fat, can be an indicator of a metabolic syndrome in a patient. This may be a signal that the patient is at risk of developing cancer, diabetes, and heart disease. It is possible to turn some white fat into brown through exercise. While all people will enjoy a healthier body if they maintain an active lifestyle and balanced diet, white fat can prove especially difficult to lose in certain patients. In general, a surplus of fat is not only hard on a patient’s body, but also on his or her self-esteem. Dr. Friedlander, thanks to his expertise and the cutting-edge technology behind VASER Liposuction, can expertly identify and remove the stores of stubborn fat that keep patients from enjoying their most beautiful selves*. VASER Liposuction is a revolutionary fat reduction technique that differs from traditional forms of liposuction. Unlike liposuction procedures using lasers or PAL (Power Assisted Liposuction), VASER (Vibration Amplification of Sound Energy at Resonance) uses high frequency sound waves to emulsify fat. This powerful technology allows more fat to be removed than any other form of liposuction, particularly the fat closest to the skin surface, providing results simply not possible with the other methods*. Rather than burning through tissues as with lasers, or avulsing fat with PAL, VASER specifically targets fat cells and leaves almost all other connective tissues intact — similar to shaking the leaves off of a tree. 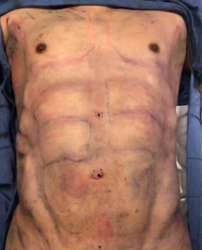 As the elastic connective tissues remain intact, superior skin contraction or tightening occurs*. At NorCal Liposculpture, we specialize in only VASER Liposuction and continually strive for perfection in every case we perform. Tiny, hidden incisions as well as specialized techniques and instrumentation allow for beautiful, natural-looking results with one treatment*. Instead of relying on physical pulling or high temperatures, VASER Liposuction utilizes ultrasound frequencies to break down fat deposits. During a VASER Liposuction procedure, a very small cannula will insert tumescent fluid into the desired area. The VASER device will emit ultrasound waves, which agitate the bubbles in the tumescent fluid. The bubbles expand and contract, thereby loosening and dislodging the fat from the surrounding cells without damaging the body’s vital tissues*. The fat can then be removed with more ease and accuracy than during traditional liposuction procedures*. 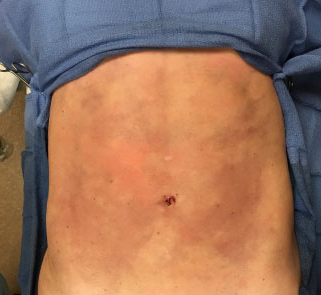 This improved method of fat elimination subjects the body to less trauma, which means the patient experiences minimal bruising and a potentially faster, more comfortable recovery*. 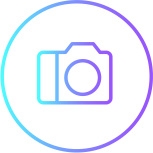 The ability to remove fat just below the skin surface, rather than just the deep fat, is what makes VASER different and is the reason the results you see are simply amazing and unlike anything else*. VASER also offers the beneficial side effect of tightening the skin in the treated area, which can resolve some of the skin loosening than can result from fat’s strain on the skin*. Traditional liposuction can potentially leave bumps or ripples in the patient’s skin. With VASER, patients can look forward to reliably tight, smooth-looking results*. VASER Liposuction is not intended to be a weight loss solution. The patients who will see their best results are those who have completed or nearly completed their intended weight loss*. Patients are advised to maintain a healthy, active lifestyle before and after their liposuction to see their best, long-term results. Seeing excess fat on their bodies, including their hips, thighs, stomach, neck, or chest. While a VASER Liposuction procedure results in tightened skin in the treated area, the treatment will not address skin which is noticeably loose or sagging. Patients who would like to address what they feel is excess skin may want to consider asking Dr. Friedlander about what other options might be available to them. Dr. Friedlander wants to make sure he meets the goals of every patient with a treatment plan that’s right for them. During a patient’s one-on-one meeting with Dr. Friedlander, he will assess the patient’s physical and mental health, as well as their medical history, to check for any factors which potentially could put them at risk. Patients will be asked to disclose information regarding their current alcohol, tobacco, and drug use, as well as any medications, vitamins, or supplements they may be taking. After discussing the patient’s goals with them, Dr. Friedlander will make sure the patient understands how VASER liposuction will be the procedure option that gives them their best results*. Dr. Friedlander, in the interest of the patient, will also convey when he thinks a patient may benefit from an alternate procedure or course of action entirely. Dr. Friedlander is happy to answer any and all questions patients may have during their consultation at NorCal Liposculpture. Some patients report feeling nervous before their first consultation, so new patients may wish to write down their questions beforehand to bring to the appointment. Patients will be asked to discontinue use of any blood-thinning medication a few days to two weeks before their procedure. These medications include Aspirin, vitamin E pills, cold or sinus medication, or any other medications or supplements known to interfere with blood clotting. Patients will also need to abstain from smoking for two weeks to two months before, and one month after their VASER liposuction procedure. The oxygen depletion in the blood can raise the chance of certain risks for patients. Patients will not be able to return to their daily activities for up to several days after their VASER Liposuction. It is recommended that patients take some time off work and allow themselves the rest they need to achieve their best results. Before the date of your procedure, gather everything you would want to have on-hand to enjoy during your recovery: groceries, books, movies, etc. It will also be important to pick up your pain medications and any other recovery materials you may need ahead of time. Patients should schedule a friend or family member to drive them home after their VASER liposuction treatment. It is also advised that this person stay with the patient for the first night of their recovery, to assist the patient with their household tasks and provide any needed support. When the day of your procedure arrives, wear loose-fitting clothing. And just as importantly, relax! Dr. Friedlander and his staff will provide preparation and recovery instructions to guarantee each patient’s best recovery. Patients are advised to follow these instructions closely, and to reach out to the helpful staff at NorCal Liposculpture with any questions they may have. VASER Liposuction is performed under local anesthesia, as well as either sedation or patient’s may opt to use the services of an anesthesiologist. During a patient’s procedure, a small cannula will administer tumescent fluid into the area where the patient has identified they want their fat removed. Unlike a typical liposuction procedure, a VASER device will next emit ultrasound waves. These waves cause the bubbles present in the tumescent fluid to expand and contract. This activity gently disrupts the targeted fat from its connective tissue attachments, while the ultrasound technology leaves the surrounding tissues unharmed. VASER grants surgeons more control and precision than typical liposuction; Dr. Friedlander will next strategically and gently suction out the dislodged fat in order to achieve the sculpted, slimmed results the patient wishes to see*. The contour VASER Liposuction is able to achieve will look attractive and natural*. 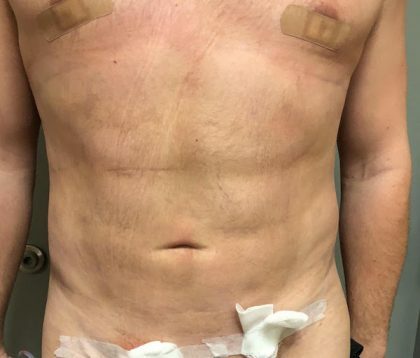 Thanks to the need for only tiny, hidden incisions, and VASER technology’s ability to provide targeted fat removal, the patient’s body experiences minimal trauma and maximum results*. VASER Liposuctions are performed on an outpatient basis, which means that after a patient undergoes their liposuction treatment, they will be briefly monitored by the staff at NorCal Liposculpture, before they are approved to return home. Patients may notice a warm sensation in the treated area, or observe the skin is a pink color. These changes will subside over time, as will any bruising or swelling that occurs. Depending on the area treated, Dr. Friedlander may have the patient wear a compression garment for a few days to several weeks following their procedure, followed by a SPANX-like garment, to reduce swelling and optimize results. Patients are advised to schedule a few days off work to allow for their best recovery and results. Most patients feel comfortable returning to their usual activities within a few days of their procedure, but should also keep in mind that they may not be able to drive for three to five days after their VASER treatment if they are on pain medication. Strenuous exercise will need to be avoided for about a month. While patients should avoid strenuous activity, they are encouraged to take frequent, short walks regularly throughout their healing period in order to maintain healthy blood flow. Dr. Friedlander and the team at NorCal Liposculpture will provide each patient with a recovery plan tailored to meet their specific needs. It is very important that patients follow these instructions and reach out to the friendly staff at the NorCal Liposculpture with any questions they may have. Patients will immediately notice a slimmer, tighter appearance in the treated area, however, the final results of VASER Liposuction will take up to six months after the treatment*. While the exact same fat cells eliminated from the body do not return, patients should still maintain an active lifestyle and healthy diet after their procedure*. Fluctuations in weight in the surrounding areas of the body have the potential to affect the appearance achieved in the treated areas. 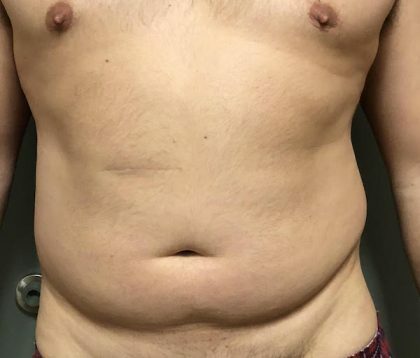 Even though VASER Liposuction can help patients achieve their ideal, athletic-looking body, it is not intended as a substitute for exercise and diet*. After Dr. Friedlander determines what liposuction treatment plan will deliver a patient’s desired results, he will be able to provide them with a breakdown of their anticipated procedure cost. The price of a patient’s VASER Liposuction procedure will vary based on the area or areas to be treated, procedure time, as well as the techniques the doctor decides will best meet the patient’s fat elimination needs. Patients interested in learning more about their options with VASER are encouraged to contact our office today to schedule their personal consultation.